is invited in this topic. As we early knew him. In the images you will see him after a terrible crime was committed against him... very beaten. And then he rose again to great adventure and gift to others ..
Mike Harker, 1947 - 2011. 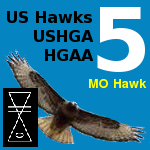 Part of his start was with the extremely low L/D Tibado kite-gliders (L/D was so low that the custom was to stay with towline tension as much as possible; gliding was not the first focus). But then he got into kite-gliders of higher L/D with better gliding opportunities that started a new realm for him. (Sample Tibado kite shown in this post is not of Mike flying). In 1973 the ZDF German Television produced a 30 min documentary on Mike Harker's world record hang glider flight from Mt. Zugspitze in Germany. In 1977, Harker fell 400 feet in a horrific hang-gliding accident, breaking more than 30 bones and leaving him in a coma for more than 11 months. 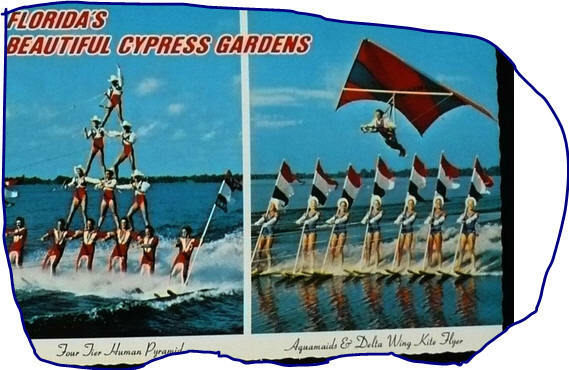 In 1968 I flew a flat kite (Tibado) for the Cypress Gardens Ski Show. This had a rope attached to the control bar between where my hands﻿ could steer the kite and at the bottom of the rope was a round piece of wood where I could straddle between my legs. This put most of the weight at the center which made control easier. He then saw a Rogallo kite at Cypress Garden being towed for trips around the waters by Bill Bennett; Mike bought a Delta Wing from Bill.